‘Twould teach us, not to, never to be dead. Once upon a time, we were promised a different future, a bright, optimistic tomorrow, one with space stations and rockets bound for the final frontier. Instead, we inherited a post-modern world of wars and woes, but the ghost of that future, of mankind’s quest to reach the stars, still haunts the Los Angeles mountains and there’s a campaign to prevent it from being forgotten. 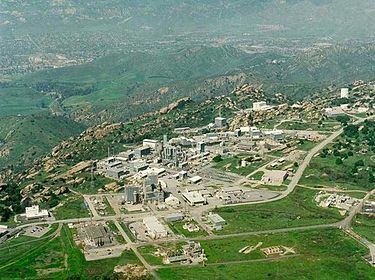 Before they moved to Malibu, my parents lived in the San Fernando Valley, not far from Rocketdyne’s Santa Susanna Field Laboratory. My mother still remembers how the sky turned orange and the ground shook when NASA was testing the rocket engines that would transport the Mercury and Apollo missions into space. Although Rocketdyne built the facility and Boeing currently owns it and is overseeing the decommissioning and decontamination of the site—a formidable undertaking, NASA still administers about 450 acres of the 2850-acre Santa Susana Field Laboratory, including the area with the rocket test sites. 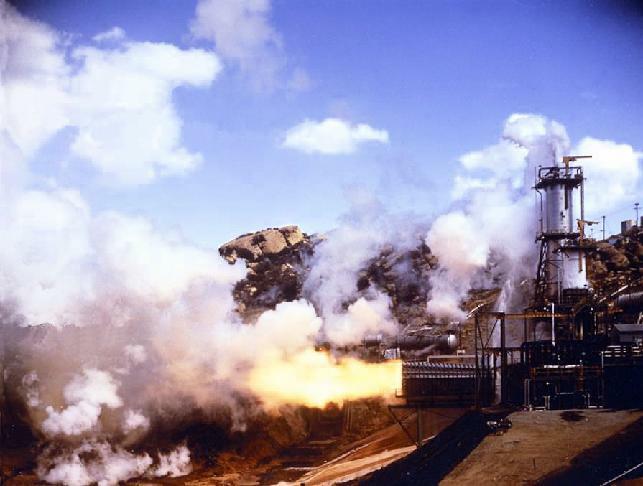 Here's an archival photo of a rocket test from the 1960s, borrowed from the Santa Susana Field Laboratory Work Group website. The field laboratory, also known as "the Hill," was built in 1947 by Rocketdyne, a division of North American Aviation. Today the site is an island of open space in a sea of mass development that stretches from the Simi Valley to the San Fernando Valley, but in the 1940s the mountaintop was remote and isolated. Liquid propellant rocket engine testing began at the SSFL in the late 1940s for the U.S. space program. Elements of almost every U.S. space project in the 20th century—from Mercury to the so-called "Star Wars Initiative"—were tested or developed in part at the laboratory. 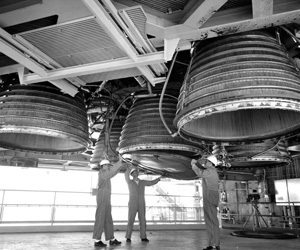 Workers position rocket engines at one of the test stands in this archival NASA photo. There was a darker side to the research that went on up the mountain: contamination. From the early 1950s until 1980, as many as 10 low-power nuclear reactors were developed by the U.S. Department of Energy and operated at the site, which was also used for liquid metals research. An experimental liquid sodium nuclear reactor experienced a partial meltdown in 1959, spewing radioactive material into the atmosphere. It was the first of several reactor incidents. Fuel from an estimated 30,000 rock tests and the chemicals used to flush the rocket engines have also contaminated the soil and the groundwater. Disposal techniques in the 1950s and '60s involved blowing things up or burning them in open pits—not one of the more forward-thinking approaches to highly toxic and potentially deadly industrial waste. 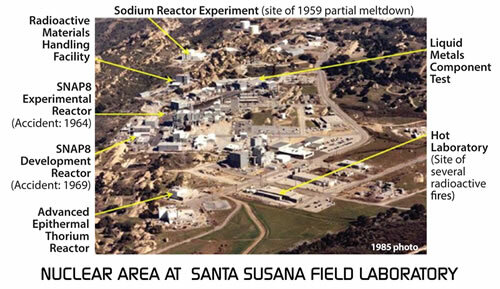 According to the Santa Susana Field Laboratory Advisory Panel, over its lifetime, Area IV of SSFL was home to: "ten reactors, numerous “critical” facilities (a kind of low-power reactor), a plutonium fuel fabrication facility, a uranium carbide fuel fabrication facility, a “hot lab” (purportedly the largest in the country) for remotely cutting up irradiated nuclear fuel shipped in from around the country from other AEC/DOE nuclear facilities, and a sodium burn pit, in which sodium-coated objects were burned in open-air pits." A map of Area IV showing the location of nuclear research areas, from the Santa Susana Field Laboratory Work Group website. The report also states that at least four of the reactors suffered accidents and that radioactively and chemically contaminated items that were not supposed to be burned were burned there for decades, "causing extensive contamination of soil and groundwater and offsite migration in surface water runoff," and that "the accident history of the site is poorly understood, given the limited amount of disclosure that has occurred to date." This building, one of just a few left in Area IV, was reportedly used for processing liquid sodium for the sodium reactors. There's no way of knowing the extent of the impact in the community and to the workers who were exposed on site. One thing we do know is that people died as a result of that contamination and that thousands were exposed to an elevated risk of cancer. Lawsuits have been filed. The debate still rages and there are no easy solutions or answers. Boeing acquired the facility—and 50 years of environmental contamination at the site—in 1996. The debate over clean up is ongoing, but it would be doubly tragic if the cleanup process eradicates the site's history. This is Area IV today. 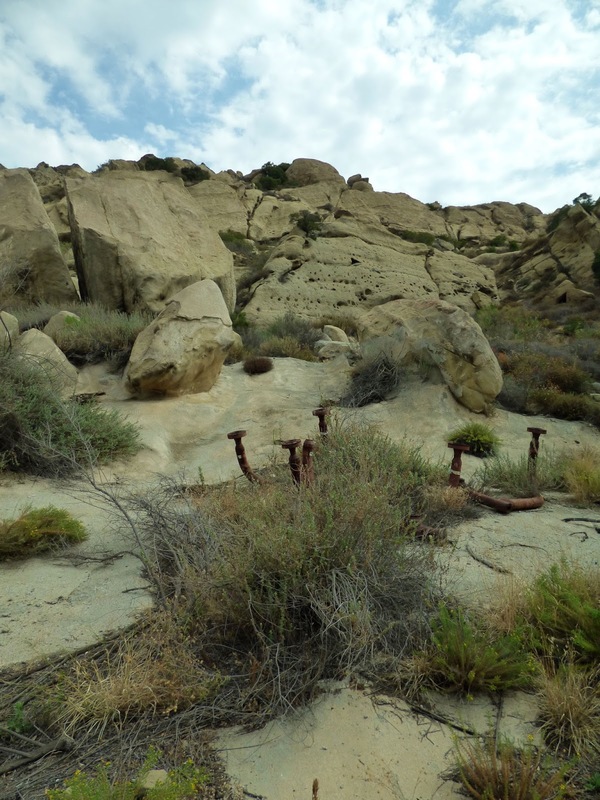 The most severely contaminated structures have been entirely removed, although there are still reportedly isolated areas with elevated levels of radiation, including some in the nearby rock formations. Workers in this area have to wear radiation badges and be monitored, and it would probably not be a good idea to stop for a picnic and a nap, but we were assured that it's safe enough for visitors. The clean-up process has proved complex and controversial. Some activists are calling for complete remediation, which would require removing vast quantities of soil and rock, potentially including archaeological sites and all of the remaining NASA structures. 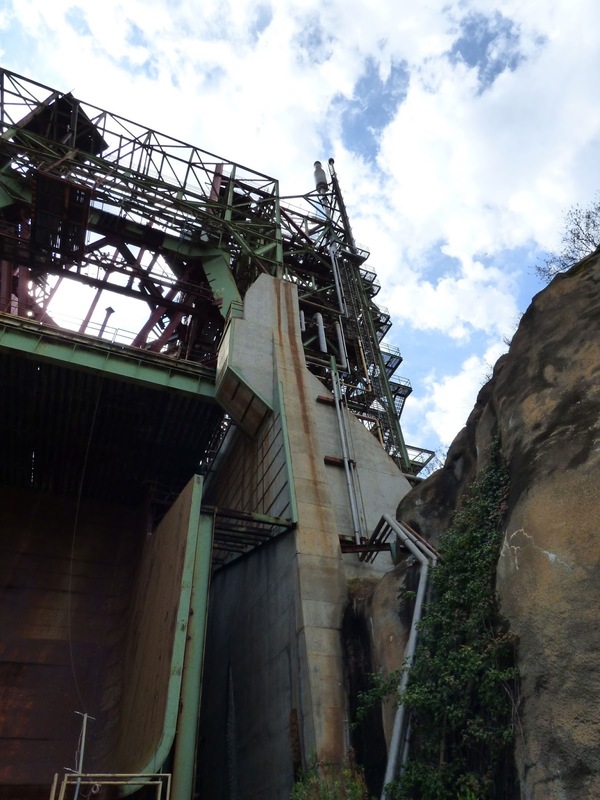 At the other end of the spectrum are preservationists who hope to see the NASA portions of the site, where the rocket engines for Mercury, Apollo and the Space Shuttle program were tested, preserved as a National Monument. This would entail cleaning the site to contamination levels safe for parkgoers, but not to "residential" levels. 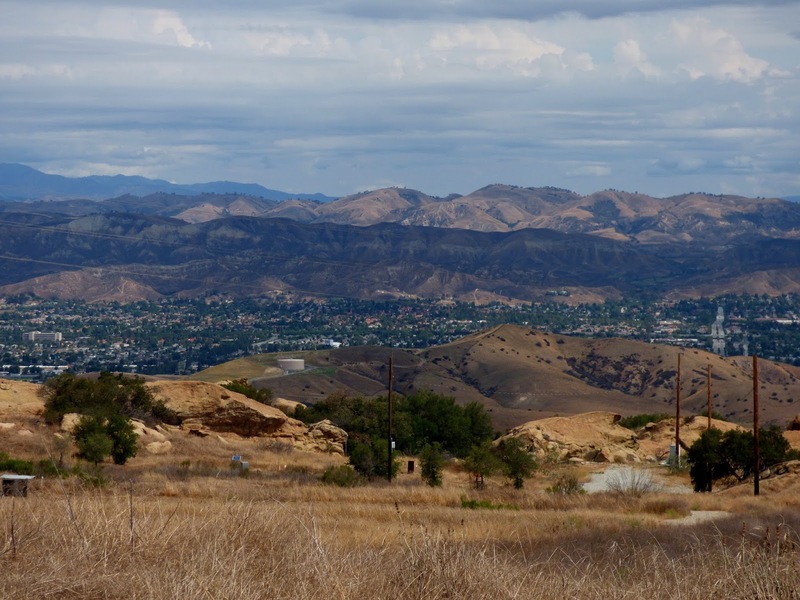 The archaeological record reveals that for as much as eight thousand years, the Santa Susana Mountains were a sacred gathering place for the Chumash peoples and their ancestors. 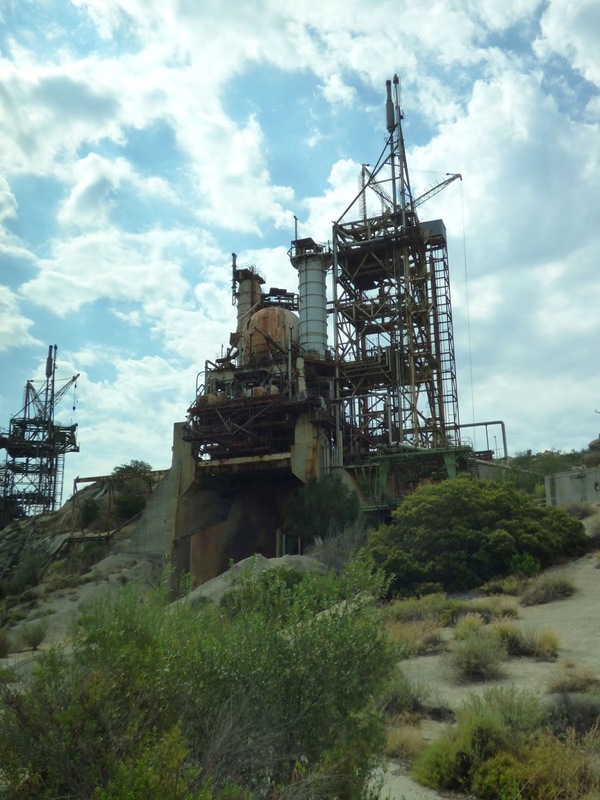 Long before Rocketdyne, NASA and Boeing appeared on the scene, the original residents of this remarkable place also watched the stars. In addition to being one of the best-preserved rock art sites in North America, the Burro Flats Painted Cave is aligned to the winter solstice. 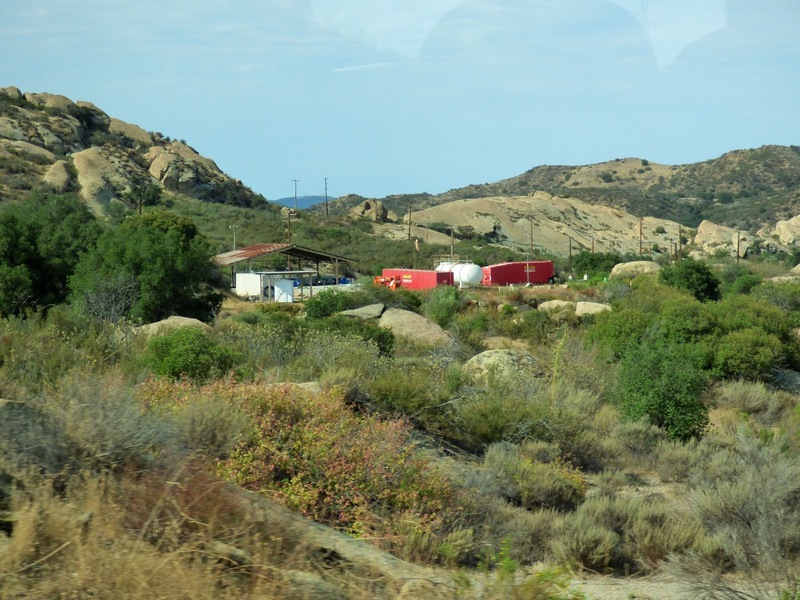 This is still an important sacred site for the Chumash people and is off-limits to all visitors. 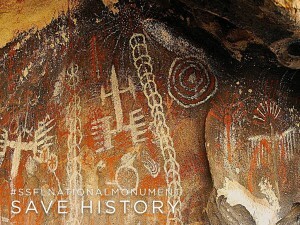 The photo shown here is from the #SSFLNationalMonument campaign, and shows just a portion of the rock art. 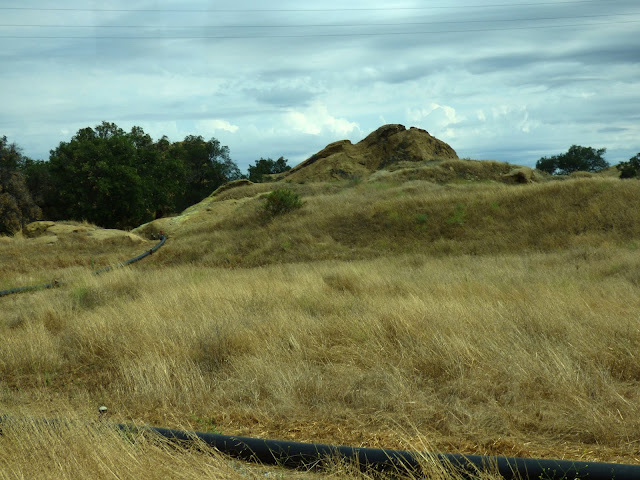 Further complicating the clean up debate is an ancient and spectacular Chumash ceremonial site, which is a priceless cultural resource for the descendants of the Chumash, including the Santa Inez Band of Chumash, who are actively involved in the fight to preserve the cultural heritage of the site. The Burro Flats Painted Cave is on the National Register of Historic Places, and there is a move to seek UNESCO World Heritage status for the site. It's that important and significant. The American Institute of Aeronautics and Astronautics and the American Nuclear Society also recognize portions of the lab site as historically significant. It's unlikely that there is another place on earth with such a remarkable combination of historic significance. It may not look like much, but that two-story building is where they processed and stored reactor cores. We were told that the shed next to it contains a deep cellar built into the bedrock and lined with aluminum. 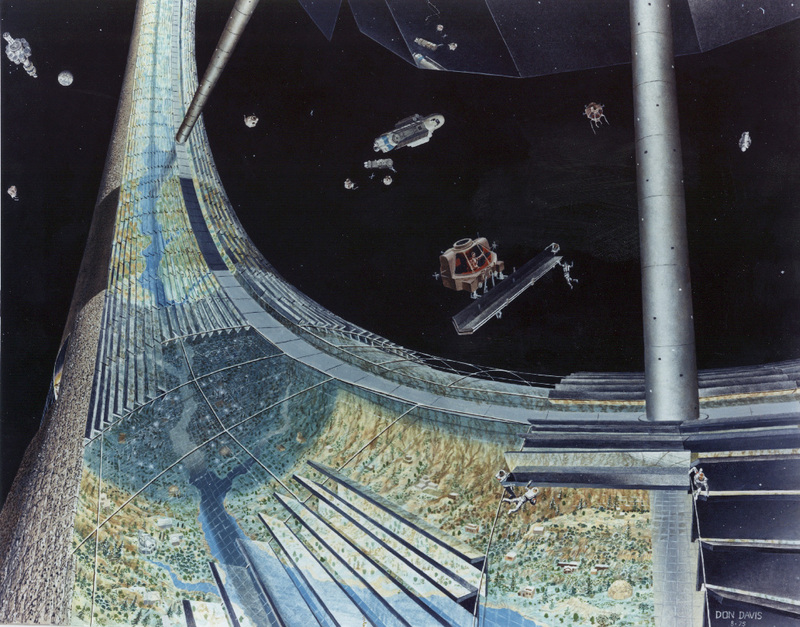 The self-contained nuclear reactors that powered the early satellites were tested there, with the help of a massive suction pump that sucked the air out of the chamber to simulate the vacuum of space. The ultimate goal is to make the 2850-acre SSFL site into open space—it's a vital wildlife corridor and a key section of the proposed Rim of the Valley Corridor, but how much of what is there now—space race artifacts, Chumash legacy, habitat that includes massive rock formations and unspoiled oak woodland, in addition to the pervasive contamination, is still being debated. When I was invited to tour the lab with other members of the local media by the Las Virgenes Homeowners Federation recently, friends and family teased that I would leave the experience glowing in the dark. 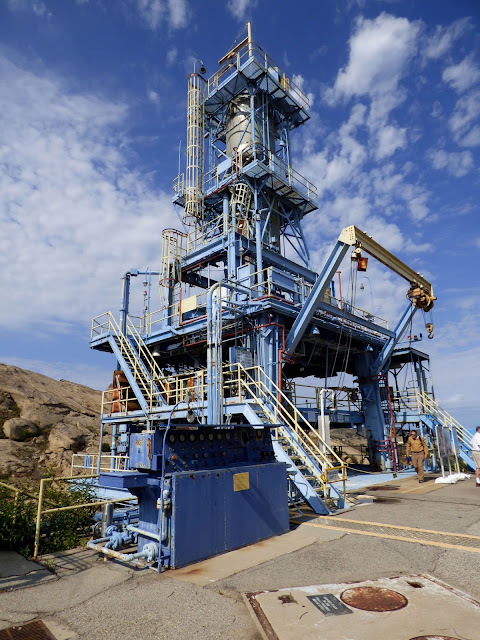 I knew that the worst surface contamination has already been mopped up to levels that are safe for visitors and the employees that currently work at the site—Rocketdyne is long gone and the facility is currently operated by Boeing—but I wasn’t sure what to expect. What I found was something breathtakingly beautiful and profoundly sad. 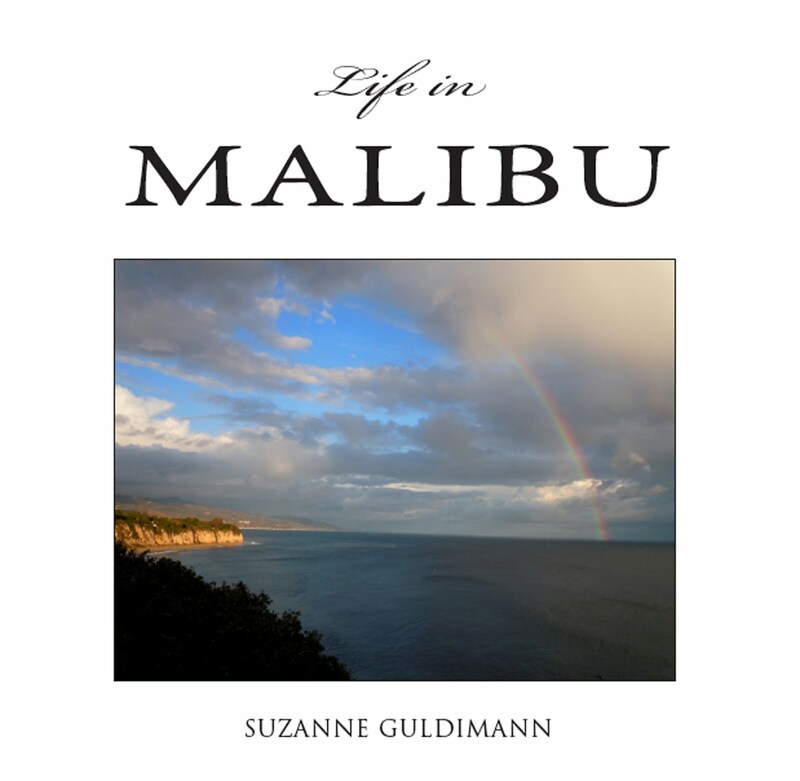 I shared some of my experiences in an article for the Malibu Surfside News on the role of the local mountains in the development of space age technology, available here. The focus of that article was Hughes Research Laboratories in Malibu, where the laser and the atomic clock that led to GPS technology were developed in the 1960s, and the TRW satellite research facility at what is now Solstice Canyon Park. 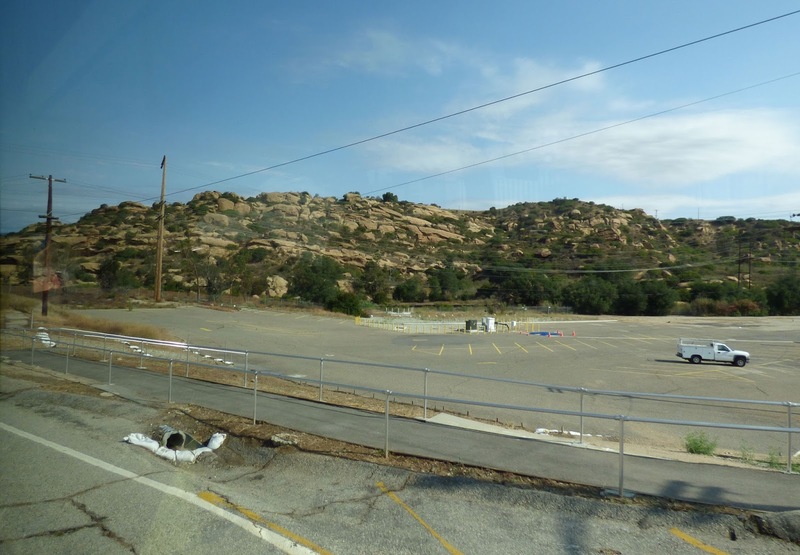 These sites, together with the Santa Susana Field Laboratory and JPL in Pasadena, have the potential to all be included in the Rim of the Valley if the most inclusive plan—Option D—is approved. While JPL and HRL are still active research labs, they represent, together with the TRW site and the SSFL a significant chapter of American history that should be recognized and preserved. 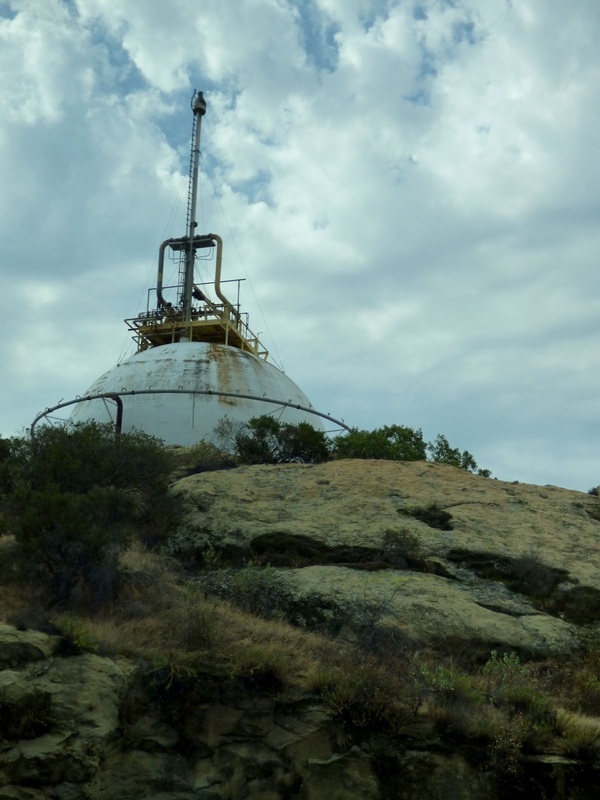 I was able to include a quick mention of the campaign to make the SSFL into a space age historical monument, but there wasn't room for an in depth look at all the astonishing things I saw in the Santa Susana Mountains, which is why I’m glad to be able to share them here. 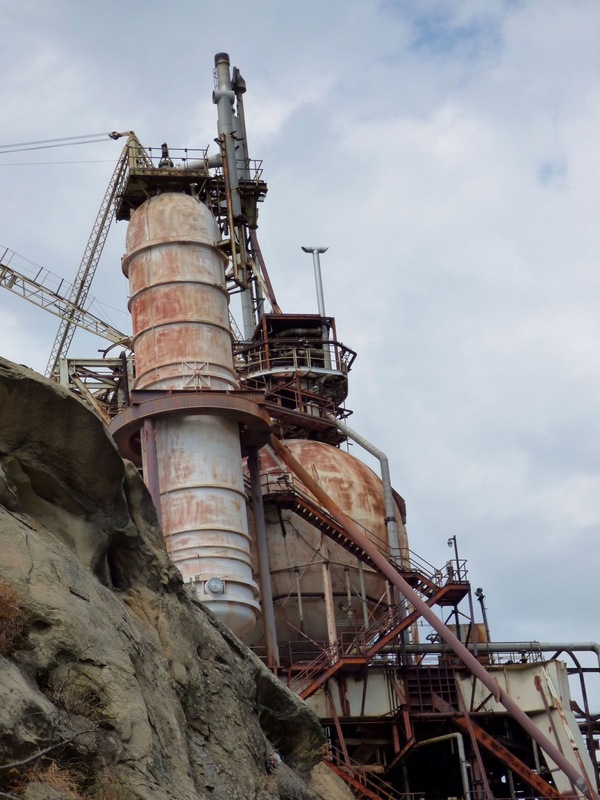 The whole SSFL site is an odd juxtaposition of natural beauty and industrial development. The main parking area has a backdrop straight out of Arizona Highways. After a quick briefing on safety and history, we took our places on the bus for our tour. Most of the images in this blog post were shot through the window, but we did have opportunity to stop for a closer look at the two of the NASA rocket test sites. ...At least until you get a closer look at some of the industrial installations. 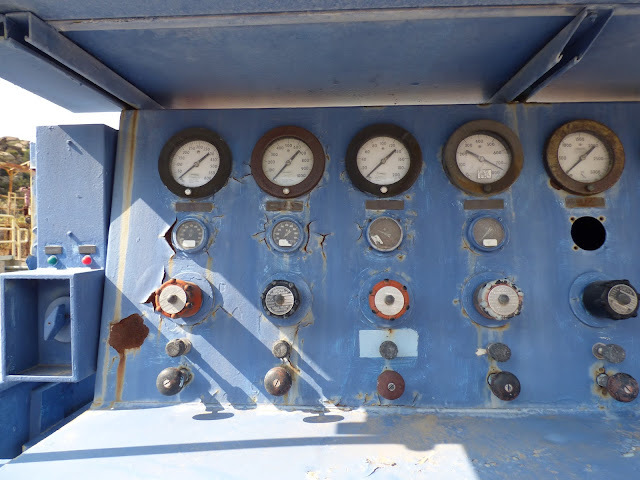 Instead of mundane things like butane or water, these tanks once held rocket fuel for NASA's Alpha and Bravo test stands. And then the first test stands come into view. 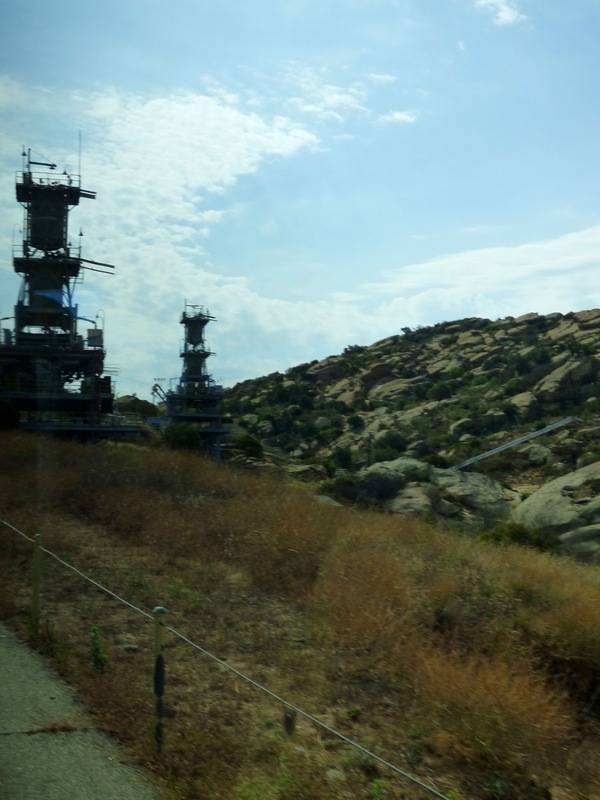 These are the Alpha Stands, where the Mercury rocket engines were tested. It's like suddenly finding yourself on Tatooine, only this is science fact, not science fiction. Here's what it looked like when tests were taking place. 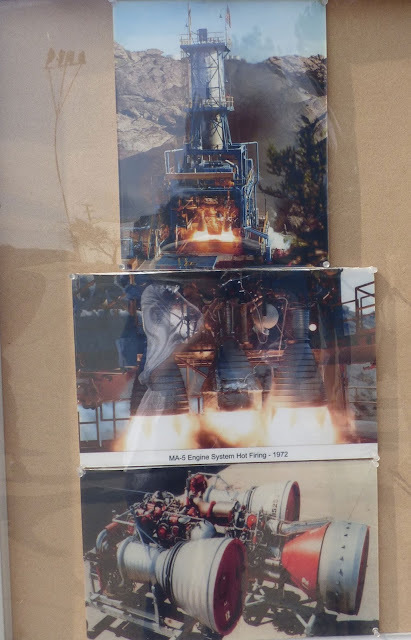 This is a photo of photos of rocket engines being test fired at Alpha Stands. The images are on display at the site to give visitors a feel for the history of the place. 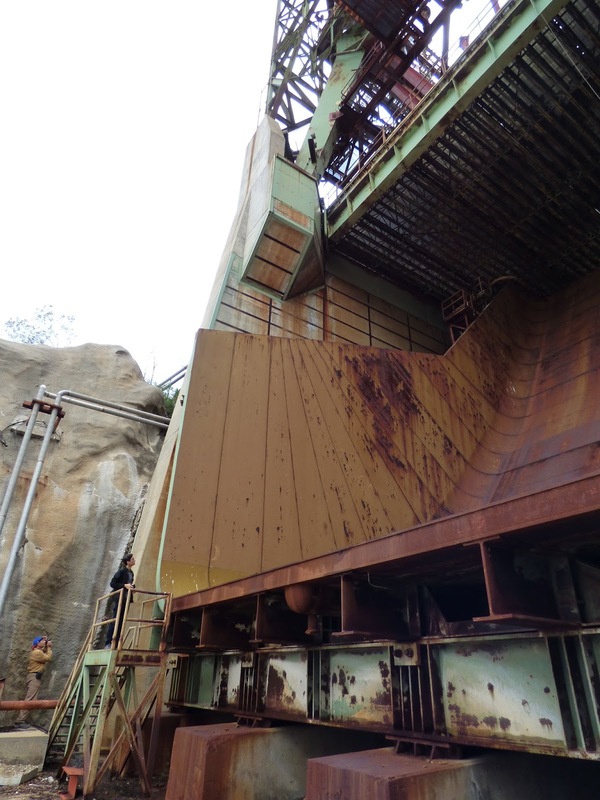 This thing is enormous, it towers six stories overhead, and extends deep down into the canyon. We were told by our guide that the deep canyons enabled multiple activities to take place without the tests interfering with each other. Everything was analog. Someone on the tour pointed out that a single smartphone probably has more computing power than the entire lunar landing program had at its disposal. We had special permission from NASA to visit the Coca Test Stands, which are even bigger and more impressive than the earlier Alpha stands. The Space Shuttle rocket engines and the Delta II rockets that carried the Apollo missions to the moon were tested here. The scale of this place is overwhelmingly vast. Flames and steam would have poured out of that vent during a test, but rust is already eroding this two-foot-thick slab of metal and signs of decay are everywhere. 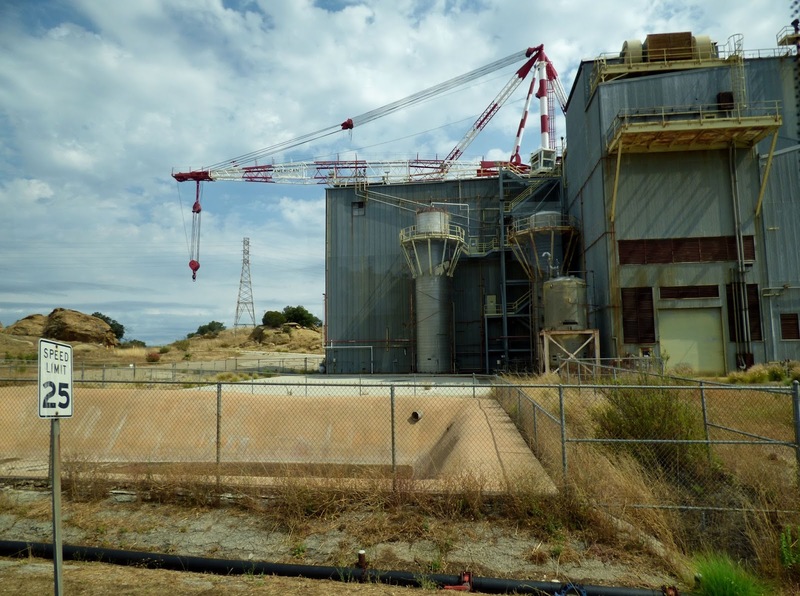 Many of the buildings at Area IV, where high levels of radioactive contamination were identified by the Department of Energy in 1989, have been removed so completely that no visible trace remains, but critics of the clean-up effort say the damage runs deep. 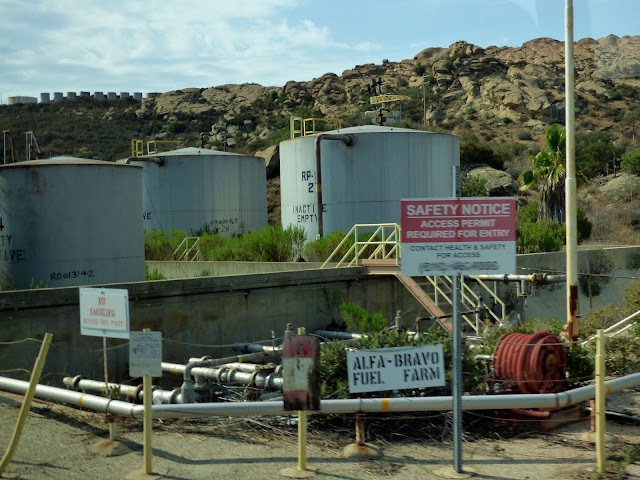 The 2006 report by the independent Santa Susana Field Laboratory Advisory Panel found that "Safety considerations appear to have been subordinated to other interests from the outset." Ultimately, in a weird way, the contamination at the site may end up protecting it from becoming yet another overdeveloped suburb. The Santa Susanna Field Laboratory is critical wildlife habitat and open space; it's an ancient historic and sacred Chumash cultural resource that is part of the cultural heritage of the Chumash people who made Malibu their home; it's a monument to the American space race; and also a reminder that technology comes at a cost, and that is something that is critically important, as well. Nature is already at work dissolving metal and breaking up concrete. In time—lots of time—even the radioactive elements will break down. 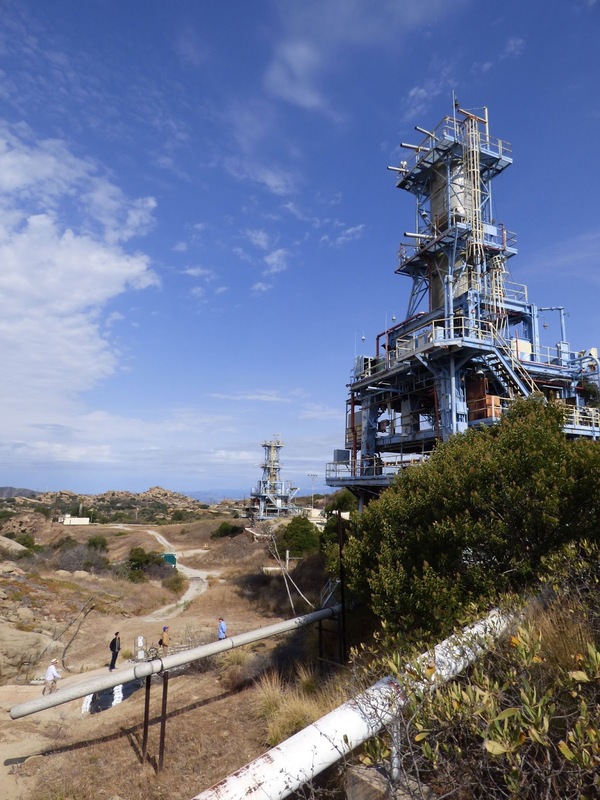 In addition to becoming a monument to the space race and a world heritage site for its cultural treasure, the Santa Susanna Field Lab could be the first major U.S. Park to recognize the impact of industrialization on the environment and the lives it cost as something that needs to be remembered. It's a chance to learn from the past and apply what we learn to the future. 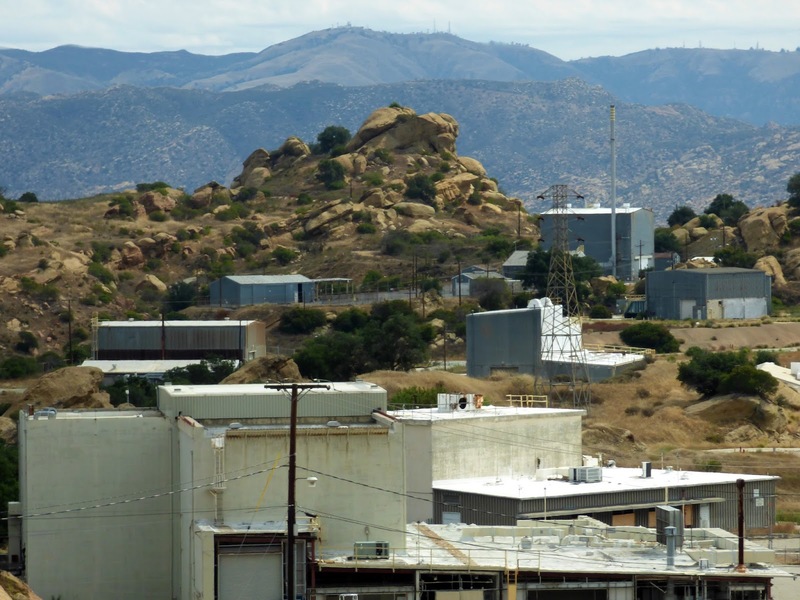 A petition requesting that President Obama designate the Santa Susana Field Laboratory a National Monument has received more than 1200 signatures and has already attracted the attention of NASA. More information on the campaign can be found here. While it seems far removed from Malibu, the Santa Susana Mountains are really just next door as the proverbial crow flies and they are a key wildlife corridor that enables species like Malibu's mountain lions to maintain genetic diversity by dispersing from one mountain range to another. 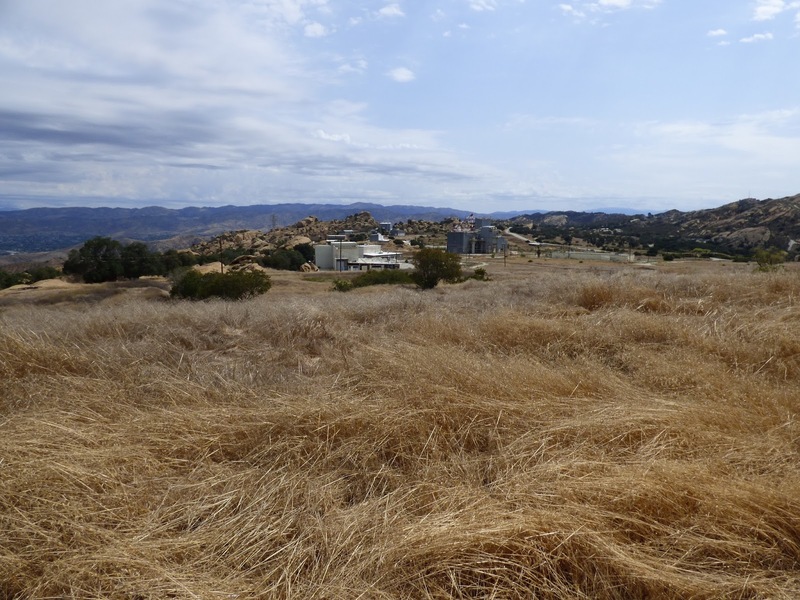 Preserving the entire 2850-acre field laboratory site as open space is critically important for the survival of wildlife but also for the good of the people of California. Visitors explore NASA's Alpha test stands where rockets that sent some of the first humans into space were tested in the 1950s and '60s, while in the background, the stones of the mountains hold evidence of ancient astronomers, who also watched the sky and dreamed thousands of years ago. Creating a Santa Susanna National Historic Monument would honor the Chumash people whose culture came so perilously close to extinction in the 20th century but is now experiencing a resurgence; it would honor those who lost their lives in the effort to reach the stars; and it would honor the work and effort that it took to get us to the moon, and help to make amends for the mess that was created as a consequence of that journey. It's a tangible expression of Bradbury's "inch of good that's worth the pound of years," and if he were here he would have wanted to see this place preserved for the future, the one we haven't seen yet, the one that we all dream will be full of marvels. The view across the Santa Susana Field Lab's undeveloped "buffer zone" of rolling hills, rock formations and oak trees offers a glimpse of what almost all of the San Fernando Valley looked like less than a century ago. This place is rare and remarkable and worth preserving for future generations and as a record of the past, both bad and good. Ad astra, per aspera—to the stars through hardship.